Precognitive Perception is better than weight of memory because it is instant speed and therefore has better synergy with wilderness rec. 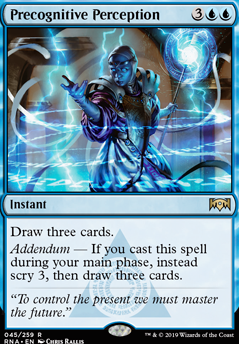 Additionally tapping out turn five to play something with no immediate impact is not a good card. Growth spiral is one of the best cards in the deck play 4. @SoulsSlayerKnight So, I love Drowned Secrets , I have a Mono Blue deck built around it, I actually made this deck after that one. I've been thinking about placing it in this deck as well. 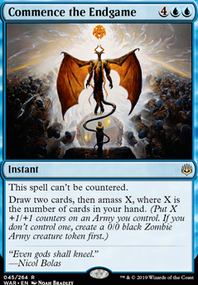 This is a control deck first, mill second, Seal Away is a highly useful card for this deck with the nearly 0 creatures. My reasoning for using Chemister's Insight is the jump-start and the instant speed which I use for a few reasons, but primarily to proc Dovin's Acuity . 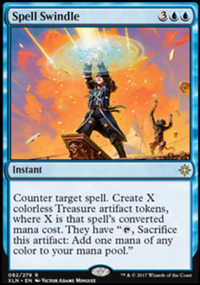 I am looking at a few cards to replace Thought Collapse since it has a 2 Blue cost. Currently Eyes Everywhere , Sphinx's Insight , Precognitive Perception and Unwind . This is an awesome deck!! I never would have thought of that combo, it's really cool and unique. Just wondering though about how the deck holds up before you get to the combo, or if you never happen to get it at all. Hayte123, after some testing, I have seen great results. 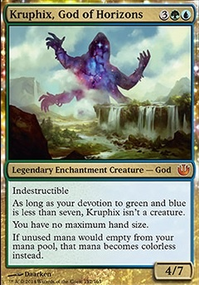 By removing one of each Negate , Essence Scatter , and Precognitive Perception it has provided a much needed ramp with some card advantage. I'm messing around with some other tweaks with the deck so it won't be added as of yet but soon. Thanks for your suggestion. Thoughts on getting Seal Away in? Imo, you have enough counter spells to drop one or two and jam seal. 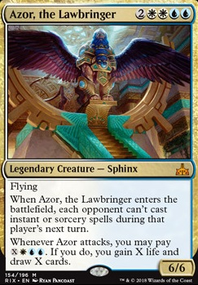 Cheap cost gets you another head up on aggro, and the exile clause is super relevant against Phoenix / Find , and same argument for Syncopate over Sabotage (plus it hits some other nonsense ). I'm on the fence for Disinformation Campaign but you'll have to let me know how it runs. I'd be more comfortable with just one/none, another Chemister's Insight / Search Flip and maybe even a Precognitive Perception . 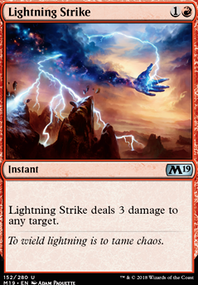 I could be totally wrong though, it could absolutely trash an opponents hand, so I'd love to hear feedback on its reliability. 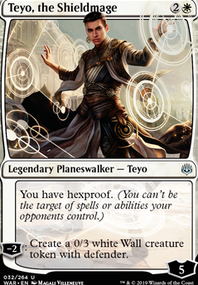 Hype for esper control though, and from someone with very little wild cards, you're doing god's work by getting some firsthand testing in!